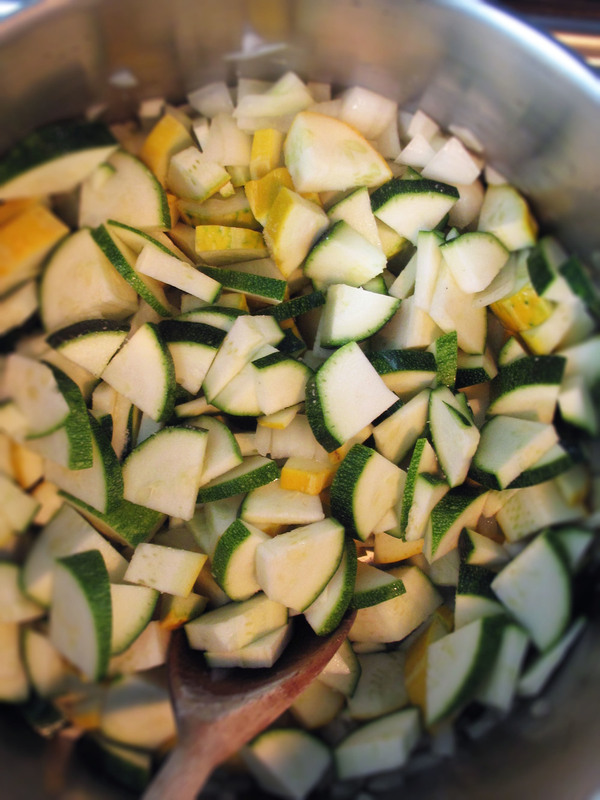 Basic recipe: Cook zucchini (and/or yellow squash which is what we had) in broth and then puree it. HERE is the recipe. Notes: I didn't have creme fraiche on hand (who does?) so I used some Ricotta and a little milk but you could use cream cheese or plain yogurt. Or nothing--the cream just gives it a little richer taste. I added the sherry vinegar right to the soup but you can also serve on top of each bowl. It's a very mild yet tangy soup which any kid who eats soup would like. You could even throw in a few noodles! And it really can be served hot or cold. Make a batch and freeze half for November. There is another recipe for zucchini soup via Grant Achatz that I also love and is only a tiny bit more complicated but richer and better for a party.